Slow and steady gains and give the Raiders a little credit. That’s the description from Realtors and real estate analysts on the Las Vegas high-rise condo market nearly a decade after the market plunged because of the Great Recession and oversupply. Some are even pointing to the 2020 relocation of the Oakland Raiders as boosting sales. In its midyear report, SalesTraq, the residential research firm of Applied Analysis, said there were 405 resales through the end of June. That puts 2017 on pace to surpass the 717 resales in 2016 and 626 resales in 2015. It tracks 21 high-rise properties in Las Vegas. Prices within the high-rise market have followed the overall housing market, according to Brian Gordon, principal of Applied Analysis. On a year-over-year basis, price increases have ranged between 8 to 12 percent, depending on the mix of properties sold, he said. SalesTraq reported that the 230 resales during the second quarter with an average price of $491,405. The square foot price was $372. Some high-rises are selling for less than half of what they did when they debuted on the market, and that’s what’s helped spur sales, Gordon said. During the first six months of 2017, Palms Place led the way as the condo-hotel property recorded 45 resales, 29 in the second quarter. The average price of $274,534 between April and June. That’s about $314 a square foot, according to SalesTraq. Palms Place was followed by 38 resales at MGM Signature, 35 at Panorama Towers, 33 each at One Las Vegas and The Odgen; 32 at Turnberry Place; 31 at Veer Towers; 27 at Trump Las Vegas; 23 at Sky Las Vegas; 22 at Turnberry Towers; 19 at Mandarin Oriental; 13 at One Queensridge Place; and 10 each at Allure and the Platinum. The remaining properties had single digits in resales. Park Towers had four sales in the first half of the year. It’s two sales in the second quarter averaged $2.1 million or $592 per square foot, the second highest in the market. The Mandarin Oriental had the highest per square foot price in the second quarter at $937 with its unit’s average price for resales at $1.8 million. One Queensridge Place had the third-highest average price in the second quarter at $1.7 million. The square foot price was $514, which ranked fifth in the market. The third-highest per-square-foot price in the second quarter was Veer Towers at $577. The average price was $691,510. The fourth-highest per-square-foot price was $574 at the Vdara condo-hotel at CityCenter. It had eight sales in the first half of 2017 and recorded an average price of $397,500 in the second quarter. Trump Las Vegas, a condo-hotel, ranked sixth in resales per square foot in the second quarter at $475. Its average price was $310,533. The state of the high-rise market is far removed from the onset of the Great Recession a decade ago that kept many prospective buyers from closing on sales as financing dried up. Some who did buy suffered foreclosures as values fell. Developers were hard-pressed to find buyers for their units and turned them into rentals or sold them in bulk to hedge funds and investors, who looked for the market to turn to their favor. 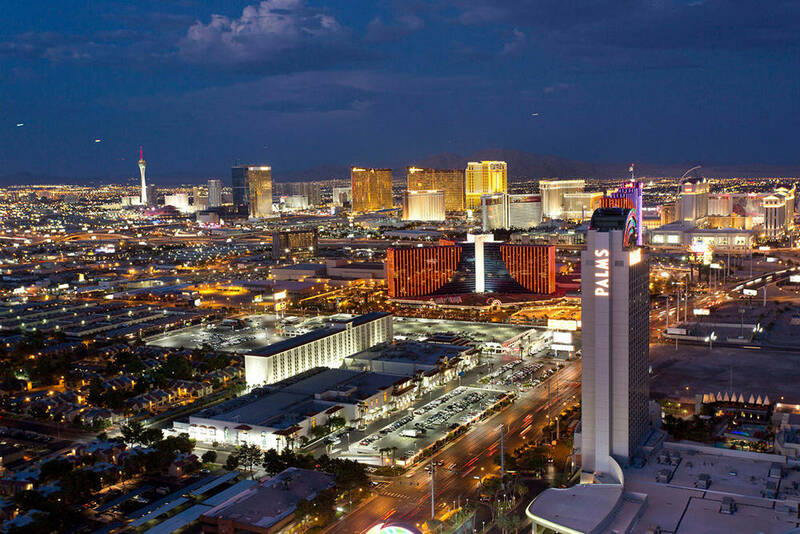 One of the beneficiaries is New York-based Ladder Capital Finance Holdings, which in 2012 acquired 427 of the 670 units in MGM Resort’s International Veer Towers. The twin, 37-story towers that opened in 2010 as part of the $8.5 billion CityCenter project was one of the last built before the market collapse. The $119 million sale reported at the time was for $278,000 a unit or about $300 per square foot. SalesTraq reported the average price in resales in 2015 was $525,446 at Veer Towers or $537 per square foot. That rose to $563,975 or $569 per square foot in 2016 to $691,510 or $577 per square foot in the second quarter of 2017. Mark Pordes, CEO of Florida-based Pordes Residential, which handles the sales and marketing for Veer Towers, said the group has started releasing its best inventory and the 27 units that remain will be gone by the end of the year. Those units sold for $850 to $1,000 a square foot a decade ago and buyers recognize the value, he said. Condo sales have spiked this year over the interest of the NFL approving the Oakland Raiders to relocate to Las Vegas in 2020, Pordes said. T-Mobile Arena has proven to be an attraction as well because of its walkability to Veer Towers, he said. Buyers for Veer Towers are locals who want a condo as a weekend retreat, and a substantial number of Californians who want second homes, Pordes said. Bruce Hiatt, the owner of Luxury Realty Group, said what’s driving demand from Californians is condo prices in Las Vegas that are 50 to 75 percent lower than prices in their state. People are using them as second homes or a relocating for a primary residence, he said. Nicole Tomlinson is the director of the high-rise division at Shapiro &Sher Group with Berkshire Hathaway HomeServices, Nevada Properties. She said much of the activity she’s seeing is in the $200,000- to $500,000- range but added the higher-end luxury is picking up. San Diego-based Pathfinder Partners, which acquired 64 of the unsold units in the 44-story Sky Las Vegas on the north end of the Strip, is working through its inventory. Matt Quinn, the company’s vice president, said Sky Las Vegas is a microcosm of the marketplace with demand and prices picking up as supply goes down. It will be slow and steady gains and not “through-the-roof price appreciation” of a decade ago, Quinn said. Lenders are wary and appraisers more conservative, he said. Easier financing, meanwhile, has helped boost sales at the 25-story Ogden, formerly Streamline Tower in downtown Las Vegas, and One Las Vegas. There have been a combined 66 closed sales in the first six months. KRE Capital, in partnership with Dune Real Estate Partners and Northcap, purchased the Ogden in 2013. The group also owns Juhl in downtown Las Vegas and One Las Vegas on the far South Las Vegas Boulevard. Uri Vaknin, a partner with KRE Capital, has touted The Ogden as the first property since 2008 to offer buyers Fannie Mae financing options, meaning first-time buyers can put down 3 percent, second homebuyers, 20 percent and investors can buy with 25 percent down. That beats past practices of having to pay with cash or put down as much as half, he said. Vaknin also credits the Raiders. As for the future of condo development in Las Vegas, Gordon said some developers of mixed-use projects that have a gaming component are considering a wide range of units, including hotel and condominiums. So far, nothing has materialized. “It’s a challenging environment to move forward with high-rise development depending on location, cost of development, but it doesn’t mean it won’t at some point in the future,” Gordon said. Dennis Smith, president of Home Builders Research, said he doesn’t see the high-rise market taking off anytime soon, and there won’t be a return to the past buildup. He said the improvement is great, but it’s still sobering and needs to be put in perspective.